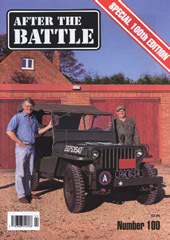 From the Editor, After the Battle, volume 100, Battle of Britain Prints International Ltd., 1998, page 23. A very brief paragraph noted that the chair in which Josef Jakobs had been executed had been placed on display at the Royal Armouries in Leed. Included a photograph of the chair in a glass case. Since then, the chair has been moved to the Royal Armouries at the Tower of London. It is on permanent display in the White Tower. N/A - just a brief note on the chair of execution.